You’d need to spend around 12 times the average annual income to buy a house in the UK’s least affordable city – and it might surprise you to learn that it’s not London. At the other end of the scale, however, there are a range of budget-friendly places where you can bag a bargain. New data from Lloyds Bank has revealed the country’s most – and least – affordable cities to buy a home, based on the ratio of average house prices to average earnings. Oxford tops the table of costliest areas, with homes priced at 12.6 times annual income. By contrast, buyers in Stirling or Londonderry will need to pay just 4.4 times their annual earnings. Here, we explore the data and explain how to find an area where you can afford to buy. If you’re planning to buy a home, you can get expert advice on your mortgage options by calling Which? Mortgage Advisers on 0800 197 8461. While buying a house may seem daunting, there are still places in the UK where home ownership is relatively achievable for many people. The report claims that Stirling in Scotland and Derry in Northern Ireland are the UK’s most affordable locations. With average house prices of £181,699 in Stirling and £118,436 in Derry, locals will need to spend just 4.4 times their annual earnings to buy a home. Below-average house prices in Newry in Northern Ireland, Bradford in Yorkshire and Lancaster in the North West of England also mean buyers can purchase a home for less than five times their annual income. Some areas are affordable due to high earnings rather than low house prices. For example, Hereford in the West Midlands has an average house price of £236,539 – well in excess of the other 20 most affordable locations – but locals can secure a property at just 5.1 times income. You can use the table below to explore the top 20 most affordable UK cities. 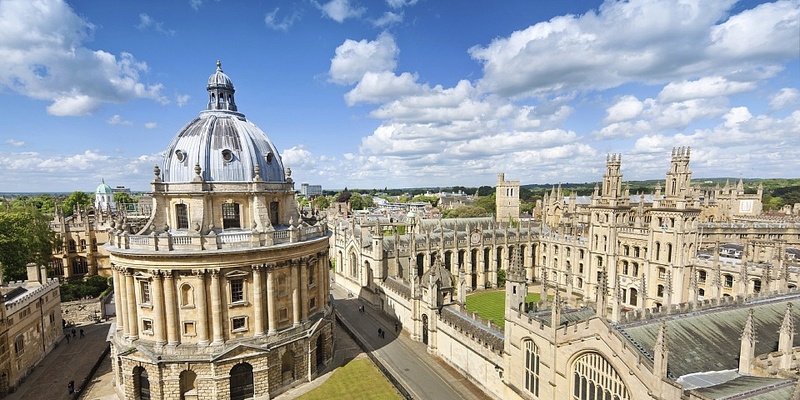 Homes in Oxford have an average price of £406,491, according to data from the ONS. That’s around 12 times more than the average resident there earns over a year. In the table of least affordable areas, Oxford is closely followed by Chichester, Winchester and Truro, all of which have average house prices of 11 times annual income. Greater London comes next, with an earnings-to-property price ratio of 10.3, although Lloyds notes that the huge variations in the London property market mean some individual boroughs would probably rank much higher. In some cases, the average property price is not necessarily excessively high, but low earnings put home ownership out of reach. In Truro, for example, the average price is a comparatively modest £234,471, but residents would still need to pay 11.1 times their income to afford this. Are these also the best places to live? Halifax recently published research on the top 50 best places to live around the UK. While, perhaps unsurprisingly, many of the least affordable cities were also some of the most desirable places to live, there was an exception. Halifax named the Derbyshire Dales as the 10th best place to live in the UK, and the nearby city of Derby was among the most affordable cities, with residents spending just 5.9 times their income on a home. Of the least affordable UK cities, both St Albans and Winchester were named by Halifax as two of the best places to live, suggesting their desirability might be driving up prices. Areas in and around Oxford, meanwhile, such as South Oxfordshire, Vale of the White Horse and West Oxfordshire, all ranked well in the Halifax chart. And continuing the trend for university cities, Cambridge has several highly desirable areas nearby, including South Cambridgeshire and St Edmundsbury. Find out more: finding the best places to live. Working out where you can afford to buy a home can be tricky, but the tips below can help you find the areas that are likely to suit your lifestyle and budget. As a rule of thumb, lenders will be able to lend you up to 4.5 times your annual income to buy a home. But some may offer you more, or less, depending on your financial circumstances, your credit history and your risk profile. If you’re buying with someone else, lenders will use your joint income to do their calculations. Keep in mind that saving up a larger deposit will bring down the amount you need to borrow to buy a home. You can use our calculator to work out how much you might be able to borrow. It’s worth taking the time to work out what’s most important to you. Is it a shorter commute, proximity to family or being near good schools? Once you’ve narrowed down the area you’d like to live in, you can research the best spot for you and your family. If you’re house-hunting in England, you can use our area comparison tool to compare nearby local authorities on demographics, school rankings, house prices and more. 3. How much are prices in that area? Average prices in an area can give you an indication of how much a property might be, but they won’t give you a full picture. If you’re buying a flat, for example, in an area dominated by three-bedroom homes, the average price won’t be any help in working out how much you’ll need to spend. To discover actual asking prices, you’ll need to start looking at home listings for that area and recent sales data for individual properties, to make like-for-like comparisons. Whether you’re ready to buy or are still working out how much you can afford, it can be useful to speak to a mortgage broker, who can help you navigate the market and find the right deal. Call Which? Mortgage Advisers on 0800 197 8461 or fill in the form below for a free callback.